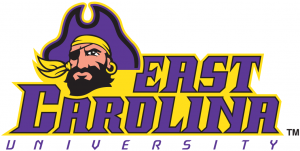 East Carolina University faculty are publicly backing students’ right to protest after 19 band members touched off an uproar when they kneeled during the national anthem of a football game last month, The News & Observer is reporting. The band members were protesting police shootings when they dropped to a knee, and the resulting controversy has already spurred mixed reactions from leadership at the Greenville university. On Tuesday, the ECU Faculty Senate voted unanimously on a resolution affirming students’ “constitutionally protected free speech in the broadest possible spectrum of time, place, and manner” and opposing “any attempt to prevent or inhibit constitutionally guaranteed free speech.” The resolution also condemned acts of violence or intimidation directed at ECU students or members of the community. “We thought this was an important statement to make,” said John Stiller, chair of the faculty and biology professor. 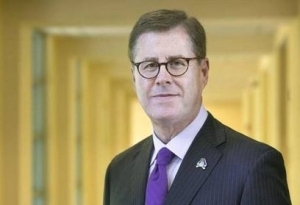 He said kneeling protests against police shootings of African-Americans have occurred at other universities, but the reaction at ECU was more intense. When 19 members of the band knelt at the Oct. 1 game in Greenville, the crowd booed and the band had to be escorted out of the stadium by police after fans threw debris at them. One band member reported being assaulted in a stadium restroom. Despite the faculty’s public statement, it still seems as if there’s a lack of clarity regarding the university’s official position on the protests. Chancellor Staton (who has seen his fair share of controversy since the former Republican state senator in Georgia was tapped this year) was reportedly not present at the time of the vote. Gov. Pat McCrory has also publicly criticized band members for the protest.